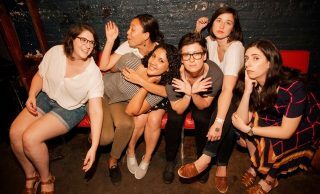 Reductress offers a series of writing, sketch, and stand-up, at our headquarters located in Manhattan. Are you interested in Reductress hosting a workshop for your university or organization? Email us at info@reductress.com. Or, check out the online edition of our satire writing workshop to take at your own pace. Learn the fundamentals of satire writing in this workshop, including headline generation, topical news, and writing your own piece. Taught by the editors of Reductress.